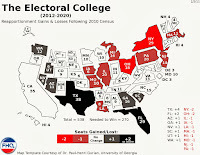 FHQ has had this on the back burner for a while now, but a Thursday, March 12 committee hearing in Washington made quite plain that the decision to hold a primary or select and allocate delegates through a caucuses/convention system depends on Democrats in the Evergreen state. Those are the carrots, but there are sticks, too. To receive the partisan data from the primary, both parties have to opt into at least partially using the primary. If only one party opts in or neither does, the primary becomes a non-binding beauty contest with a top two-type ballot.2 All candidates from both parties would appear on the ballot and all voters -- sans declaration -- could vote for whichever candidate they preferred. The hope from the bill's sponsors and Washington Secretary of State Kim Wyman (R), who requested the legislation be introduced, is that the benefits outweigh the costs and both parties opt into the process. However, the proposal is more tailored to the Republican delegate process/traditions than it is Washington Democrats'. Again, Democrats in the Evergreen state have stuck with a caucuses/convention process for selecting and allocating delegates throughout the past eleven presidential election cycles, including all of what might be called the primary era in Washington. Since 1992, Washington Republicans have utilized a two-pronged process in the years in which the Republican nomination process is competitive.3 The party splits the delegate allocation across both the presidential primary and a caucuses/convention process. The last time this happened in 2008, the the division was roughly 50/50, but twice as many delegates were allocated via the caucuses/convention as compared to the primary in 2000. SB 5978 does not require the state parties in Washington to fully use the primary (to allocate all of its delegates). If both parties opt in, each only has to allocate some of its delegates through the primary election. That better fits the traditions and practices of the Republican Party in Washington than it does Washington Democrats. National delegate selection rules allow such a split on the Republican side, but national Democrats have almost completely eliminated the practice. Texas is the only state in the Democratic nomination process that splits its delegate allocation across both a primary and caucuses. And Texas Democrats have an exemption from the DNC to avoid breaking rules that prohibit the two-step process. The result is that this bill makes it easier for Republicans in the Evergreen state to opt into the presidential primary than Democrats in the state. Whereas Washington Republicans can dip their toe in to whatever extent they see fit, the Washington Democratic Party is faced with an all or nothing proposition; either the primary or caucuses. 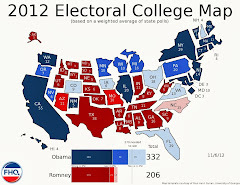 And history would seem to indicate that Democrats in the state will stick with the caucuses/convention system anyway. Still, the bill, if passed and signed into law, would require both parties to opt in in some way for the presidential primary to be binding on the allocation of delegates. So, while Republicans in the state seems supportive of the bill -- It was proposed by the Republican secretary of state and had the full support of the majority Republican caucus in the Washington state Senate. -- whether a primary is binding or a beauty contest depends on Washington Democrats opting into using a primary instead of caucuses. That decision will come later on in the spring at the April meeting of the Washington Democratic State Central Committee. If the committee votes to include a primary in the state party's draft delegate selection plan, then SB 5978 may have legs. But if Washington Democrats retain a caucuses/convention process in that delegate selection plan, then the Senate-passed bill is likely dead. That, in turn, means the May presidential primary -- a beauty contest without both parties on board -- called for in state law would cost the state close to $11 million. That may make the House bill to cancel the primary a more viable option. But until Washington Democrats make their choice of delegate selection mode, that question is unanswerable and SB 5978 is in limbo. Neither the legislature nor the governor would sign off on a plan to fund a primary neither knows will be binding until after the Democrats' April meeting. UPDATE: It should also be noted that Washington Republicans would be less likely to opt into a two-step process if the state law remains the same and the presidential primary is in May -- and not postponed until 2020. A late primary would not be an attractive option for the party, particularly if it comes after the other delegates are allocated through the caucuses/convention process and/or the Republican nomination has already been decided. In total, that would provide some incentive for Republican legislators in the state to support legislation canceling the primary if Democrats opt to stick with caucuses. 1 Those lists of partisans can be and/or are used by the parties to more effectively identify and target voters in the subsequent general election. 2 No, it is not really a top two ballot. The Washington presidential primary is just part of the presidential nomination process. Unlike, say, a US Senate primary in Washington, where the top two finishers in the primary would face off against each other in the fall general election, a Washington presidential primary would not be determinative of who would be on the general election ballot in the presidential race. It would play roughly a little less than 1/50th of that role. Yet, the primary ballot in this instance would mimic what a primary ballot would look like in Washington for other offices. 3 That is true with one exception. 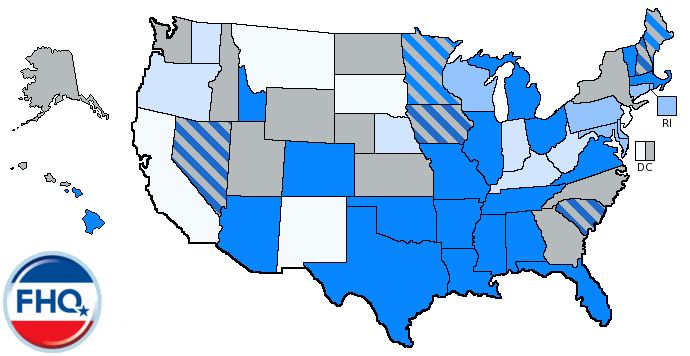 The Republican nomination was contested in 2012, but the Washington presidential primary was canceled during that cycle. 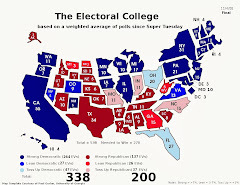 In 1996, 2000 and 2008, however, the Republican Party in Washington split its delegate allocation between the primary and a caucuses/convention system. Are Early States Losing Clout?